Running Press Kids, 9780762449484, 208pp. Suddenly nothing stands unchallenged-not Julia's friendships, her crush, or her independence. But while Julia realizes that she cannot control all the changes in her life, she hangs onto the hope that everything will go in her favor if she can just win one magnificent showdown. Acclaimed author Tara Altebrando's middle-grade debut features a voice that is true to the adolescent experience, where everything is felt acutely in a whirlwind of all-or-nothing emotion. Tara Altebrando is the author of several novels, including The Best Night of Your (Pathetic) Life and Dreamland Social Club. She is also the co-author of Roomies with Sara Zarr. Tara is a Harvard grad living in Astoria, New York, with her husband and two daughters, and you can visit her online at taraaltebrando.com and via Twitter @TaraAltebrando. 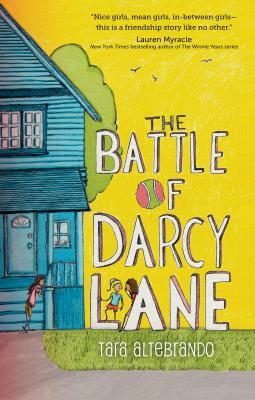 The Battle of Darcy Lane is Tara Altebrando's middle-grade debut.